Our global experience, vision, scope and reach are unmatched. Since 1967, we have developed a worldwide network of associated business schools, schools we help set up and grow so that they may have an enduring impact on their community and beyond. We also have partnerships and exchange agreements with top overseas schools. We work with these partners in a spirit of collaboration and mutual cooperation to drive innovation, understanding and excellence in global management education. We have enjoyed a close relationship with Harvard Business School for more than 50 years. The Harvard-IESE Committee was launched in 1963 to guide IESE in the development of new programs and help drive our growth and scope, and was a key driver in the launch of IESE’s MBA in 1964 – the first two-year Masters program of its kind in Europe. 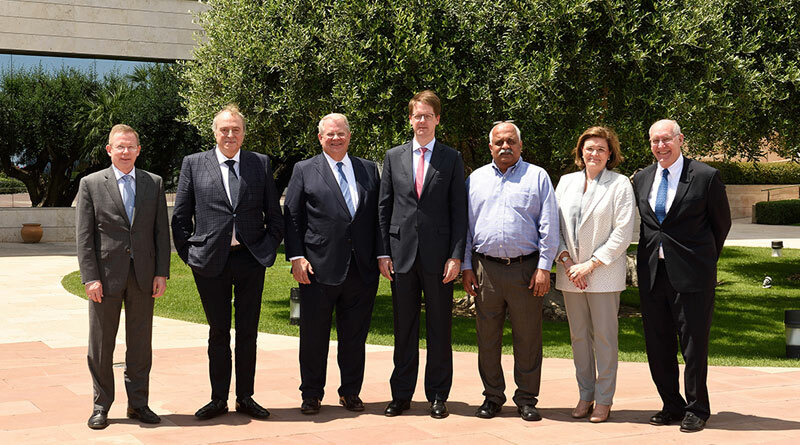 IESE and HBS continue to operate in close collaboration today through the work of the committee and across a range of joint, top-ranked international Executive Education programs for leaders and organizations. We began forging alliances with many of the world’s best business schools in 1993, offering open enrollment and customized Executive Education programs. The combined expertise, insight and international perspectives on which our alliances are built have produced world-class programs that truly address the challenges, needs and concerns of leaders today navigating a complex and changing global business environment. We partner with more than 25 of the world’s foremost business schools to offer exchange programs to our MBA students. Exchanges enrich the global dimension, academic depth and networking opportunities both for outbound and incoming international students and form one of the most dynamic elements of the learning experience.